On this day five years ago I went out for a wander towards town and spent quite a while in the Museum Gardens. The light was beautiful, and extra interest was provided by a collection of sarcophagi and a very handsome stone lion. Behind them, the old bowling green. It was quiet, empty, lit by the sun. At its edge this pavilion, which I’d always admired as an aesthetically pleasing structure and a reminder of the centuries-old sport of bowling, which had clearly been an important part of cultural life here in the Museum Gardens in decades past. And in many other locations through the city. It was disused. The word disused suggests unwanted, but these days, with deeper knowledge of how things work, I never take the word on face value. There are many reasons places and things end up disused, and it doesn’t always mean that the people who used to use them don’t want to use them anymore. The other bowling green nearby, behind the art gallery, also ended up ‘disused’, more recently, and has since been replaced by a new garden area. I don’t know what circumstances applied here, with this one. I’ve never seen anyone using it, for bowls or anything else. Other bowling greens in the city, the few remaining, seem very busy when I pass them, so clearly there’s still a demand for bowling greens. But perhaps it’s not the right kind of culture for the cultural quarter. 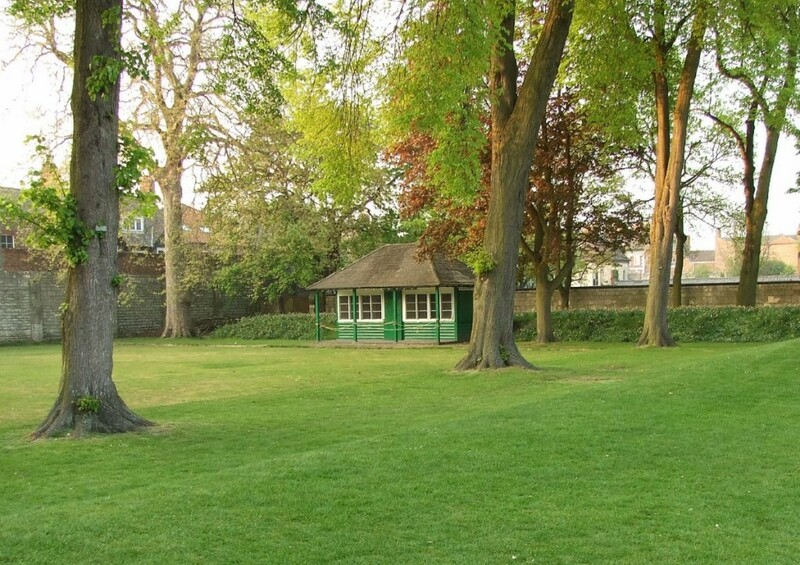 The Press reported recently that this former bowls pavilion is soon to open as a café. The area around it has been remodeled, with a beautiful mosaic added in front of it, and a path curving across the old bowling green towards the new garden area behind the art gallery. The pavilion itself has been repainted in a pleasant and tasteful off-white/cream, modernising it from its shiny and once smart dark green and white. It has all been done beautifully. And the café will no doubt sell lovely things and do really well. But I’m rather surprised at the number of cafés opening, all over, all the time. Is there really so much demand? I guess there must be. And … well, I’m sorry to lower the tone, but while the city is awash with cafés there’s one thing quite obviously lacking: toilets. I thought the Museum Gardens were supposed to be getting new ones, to replace the old ones demolished when the Star Inn was built? Thought I’d heard that was part of the planning application agreement? Perhaps not. Could have fitted some in here, couldn’t we, in the bowls pavilion? But that’s far too mundane of me, I guess. The question of toilet provision was raised in the comments underneath the Press story, prompting the response that as there aren’t any the customers will ‘have to go behind the back of the pavilion’. So … another coffee anyone? Or shall we move on?